Grantham Peregrine Project: Loose egg ! When birds are incubating 24 hours a day, with the female doing most of the donkey work, then they can doze off and not be too aware of what is happening underneath them. 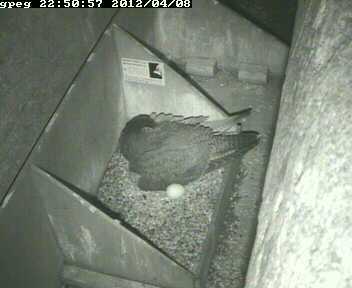 Tonight, one of the eggs has rolled out and will need to be covered soon before it chills!